There are also report of human casualties the past few days... Five people are reported dead in Cap Haitien added to the three children who died in Port-au-Prince. 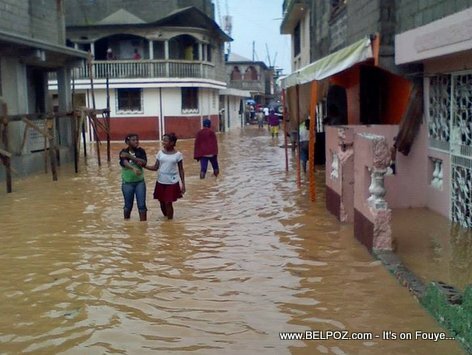 Every year for many yeas, flooding has always been a problem during the rainy seasons in Haiti. What is the Government and the State (l'Etat Haitien) doing to end this annual tragedy once an for all?